There are a couple of places that I find myself walking past time and again, with every intention of one day going in for a snoop around and a bite to eat, but somehow the opportunity always passes me by. For several months I have caught myself saying the same thing to people- ‘Oh, I’ve always wanted to try that place!’, in reference to Passion by Gérard Dubois in Wan Chai, and one day I decided enough was enough. So on full stomach, post Thai food, I went in determined to have some cake. 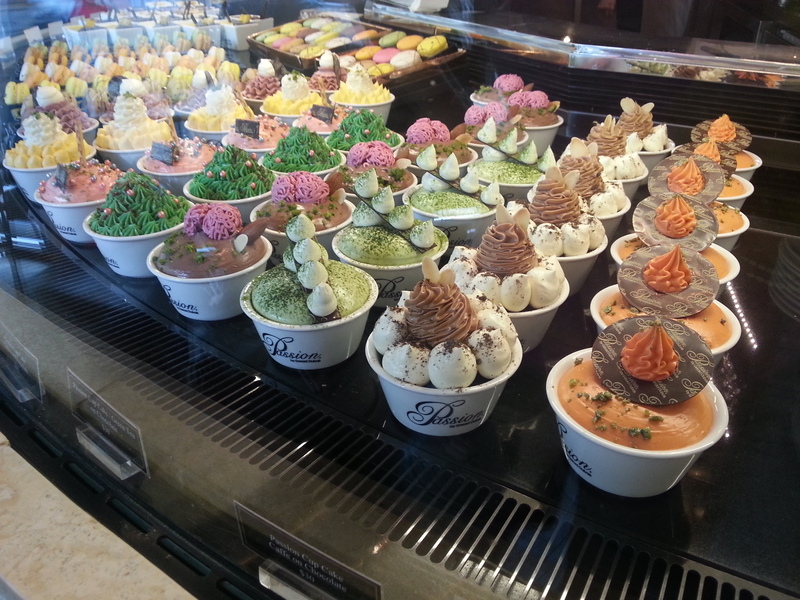 Passion is such a pretty French bakery and pastry shop, as well as a café, and the display of treats such as macarons, mille feuille, Danish pastries, is a tantalizing sight and I doubt anyone is strong enough to resist the pull of these desserts. 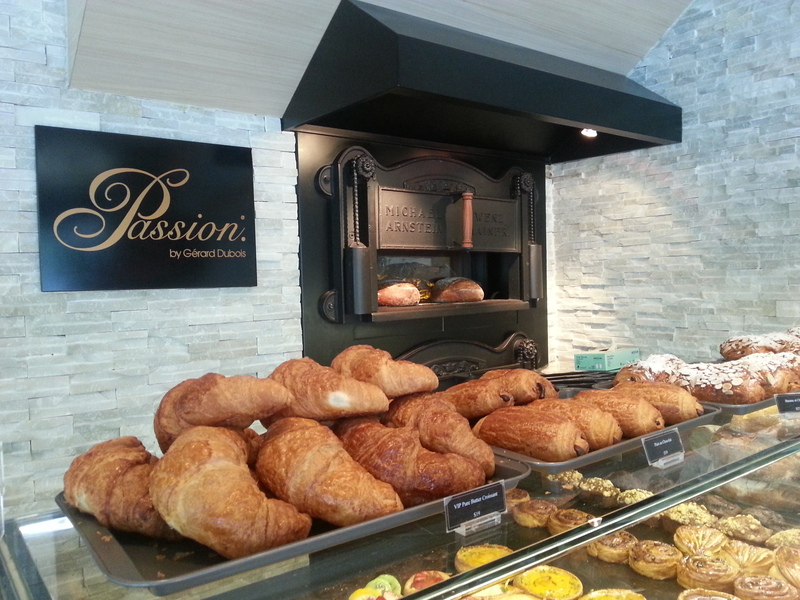 In addition, Passion serves up a light menu of deli sandwiches and salads as well as a wonderful selection of freshly baked bread which one is able to buy at 11am and 4pm daily. French teas and hot chocolates are a welcome sight amongst the usual coffee fare and if you are in search of a quick but delicious bite to eat, Passion is just the spot. 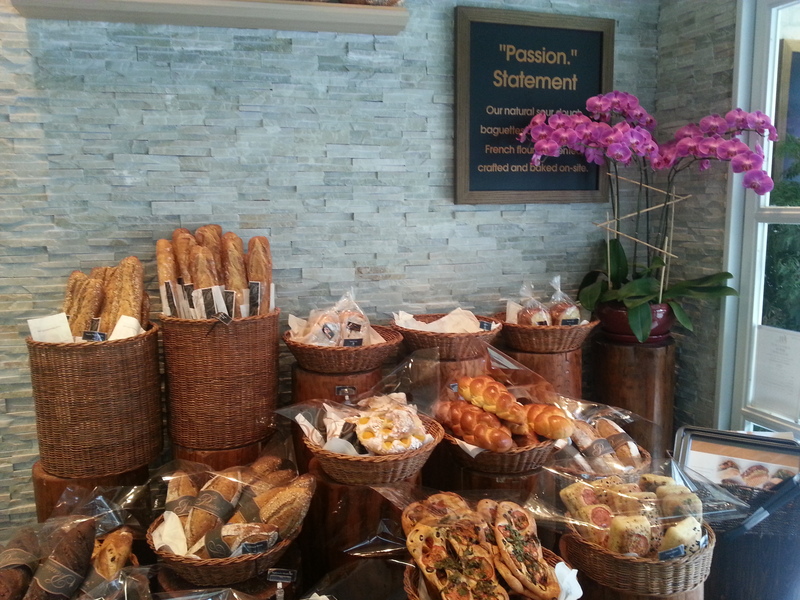 The arrangement of breads, including their signature sourdough and Passion baguettes, by the entrance, is a sight for sore eyes, let alone the aroma of freshly baked bread! 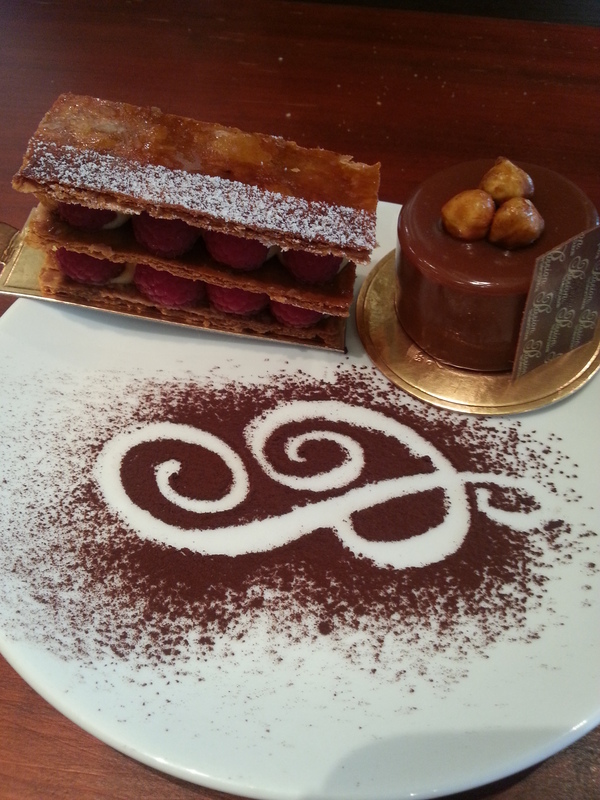 The day I went, my friend and I ordered a blueberry Danish, a Noisette (hazelnut and chocolate mousse) and a raspberry mille feuille. 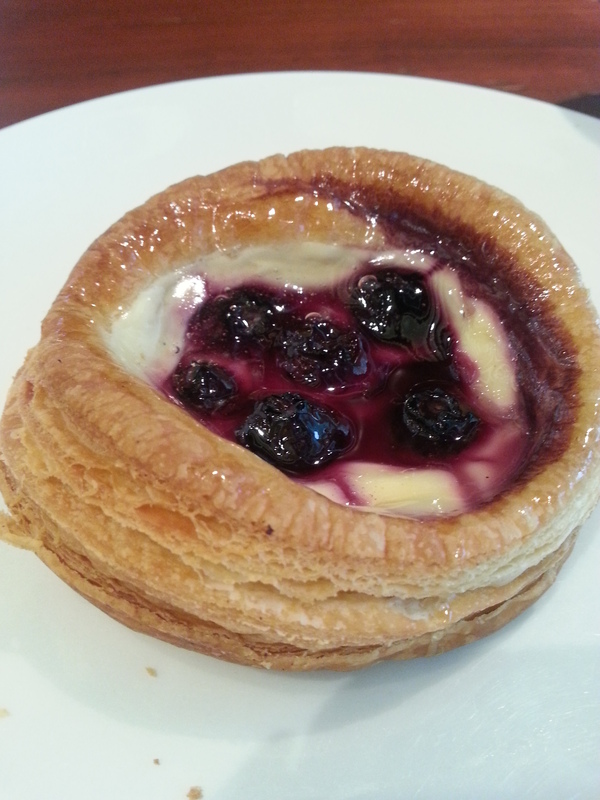 The Danish’s custard and blueberry centre was lovely, and although the pastry could have been a little flakier and crisper, it was a delightful start to my Passion experience. Cleansing my palate with a sip of my Mint Melange tea, I then destroyed the delicate mille feuille with my fork. I adore the look of mille feuille, but unfortunately, eating it is sometimes far from easy due to what can be quite flaky pastry. 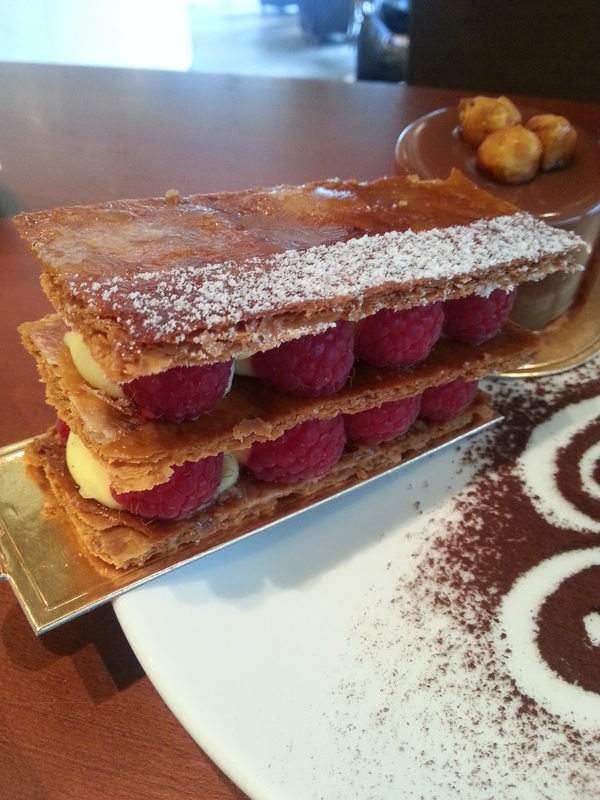 But this does not matter when the sweet crème pâtissière complements the burst of subtle sweet and sour from the raspberries. 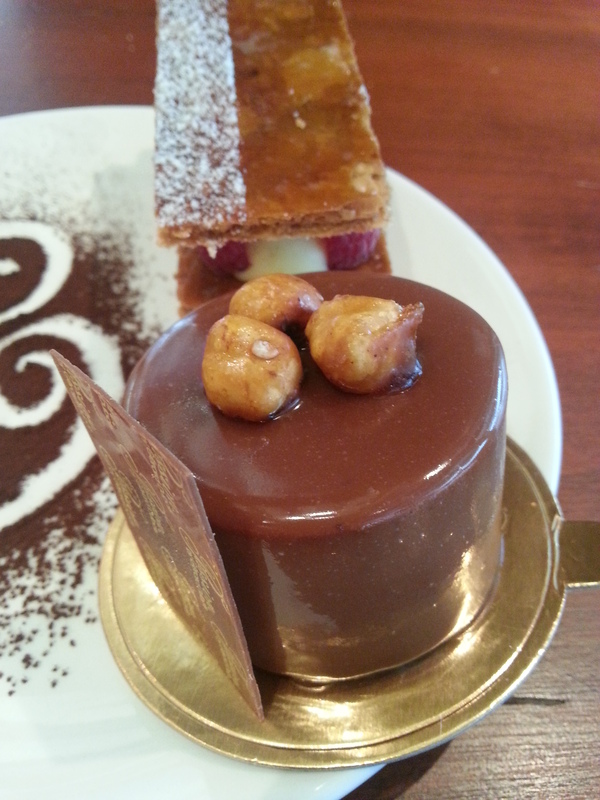 By far my favourite of the three was the Noisette. 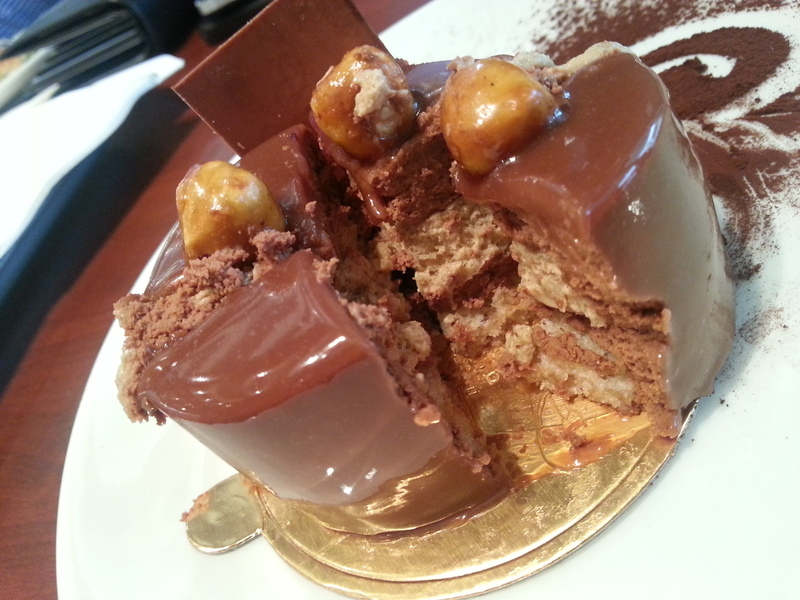 I love hazelnuts, and this unbelievably decadent dessert hit all my sweet tooth cravings in one go. Its shiny, chocolate exterior gave way to a marvellous layer of hazelnut and chocolate mousse which was rich, creamy and divine. If you are just passing by and have no time for a coffee and cake, make sure you take away a macaron or two, or try their nougats and meringues. You can always satisfy your sweet tooth on the go.